Many countries are restricting goods and people from other countries, if they are a threat for their domestic industries and economy. This is a big sign of deglobalization. There is a growing tendency to support domestic goods and companies. Citizens of many countries including Indians are opposing the influx of Chinese goods into their countries. Surprisingly there are protests in China against foreign goods and companies, especially of USA. There is a slowdown of global economy. The importance for globalization will not be reduced, because no country can stay isolated for sure. The movement of goods and people in between the countries is increasing and will going to increase in the nearby future. Every country in the world is maintaining bilateral relations with one or more other countries. Many immigrants found permanent residence in their destination country because of the openness of the world. 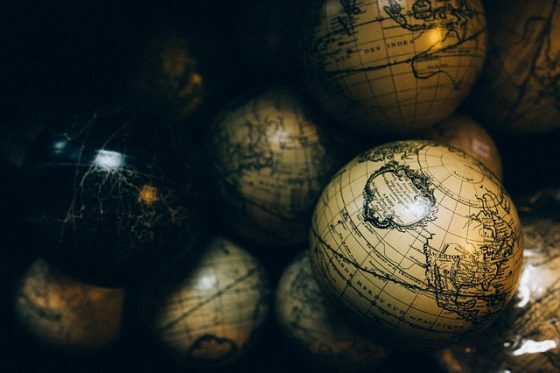 Though there is a rise in nationalism and protectionism policies, that doesn’t mean it’s the end of globalization. People depend on each other, and countries depend on each other as well. Dependence will never end. In fact the world is now more globalized with the growing technology and communication facilities. The present scenario is giving us an aprehension that the big economies of the world are in favour of protectionism. The high tariffs imposed by USA on china, turkey,iran is just opposite of globalisation. India is also trying to produce more and more under make in india campaign, which is good for our economy , and it is also true that no country can remain isolated by not making ties with others. The high tariffs at present can be a reason of temporary economic problem of a country. But in a long run global economy can not thrive without globalisation.